You have been searching a website do that you can create a meme simplest and fastest. This is yours!!! 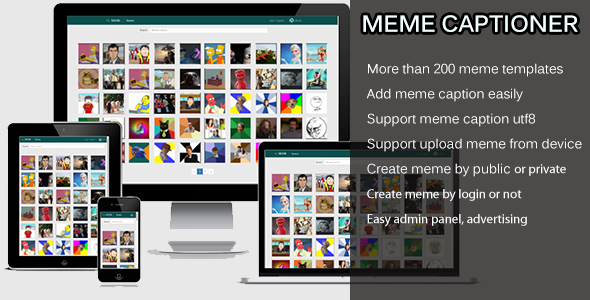 With Meme Captioner Script, user can easily have a caption for hundreds of existing meme template (uploaded by user and admin) in order to have your special meme then share these on social media such as Facebook, twitter, pinterest, reddit, etc).